Techno music is always a tricky one. Sure, you've been to that party where you have that hi-hat/drum-hit 1-2 pattern of a techno beat pounded into your head non-stop by no-name generic techno artists, as well as that party where the dance music was organic, different, interesting, and -- most importantly -- fun. While some can argue that genres like rave and trance are largely repetitive and -- ultimately -- generic, there are always exceptions to the rule. An artist as versatile as BT can create club-ready bangers, trance epics, film scores and crossover pop singles in a heartbeat (even if not all of it is necessarily "blindingly brilliant"). Sadly, the same can't be said for Headscan. This Canadian duo specializes in that vaguely Matrix-y soundtrack styled "dark techno". Synths bubble with aggression, the occasional heavy rock guitar comes to scare away all those glow stick-waving wusses mulling about the floor, and the vocals are distorted to the point where you're convinced that a human didn't make them, but rather a futuristic machine hell-bent on killing you. And all of this can get extremely repetitive after 14 tracks of the same damn thing. This isn't to say that Headscan doesn't have talent nor do they make half-assed attempts at club tracks (unlike Daft Punk's horrid Human After All). As a matter of fact, Headscan does an excellent job at establishing a dark and life-threateningly serious mood. The occasional female siren vocal barely audible above the digital drum taps, the harmonious bass tones -- you could set a thousand movie sci-fi fight sequences to these songs. Unfortunately, the BPM from song to song remains largely the same. The lack of true musical curveballs soon leads into boredom. You gain nothing out of the last half of the album that you didn't already get from the first. Certainly, there are exceptions to these rules: opener "Terra Incognita" throws in some Eastern sitar elements near the end, while the heavy guitars that come crashing in on "Lolife" break up the monotony a bit. Yet, these are separate moments of interest -- the five minutes of "Dead Silver Sky" and the indecipherable distorted vocals are more yawn-inducing than actually terrifying. You almost wish that someone like Richard D. James would sit down with them and just teach them a few lessons about changes in BPM and mood shifting. Any sort of distinctive element would've been welcome as well: this is not music that you'll be asking the DJ about when the dance floor has cleared -- you'll be asking him what other CDs he has. Yet, not all is lost. The final two songs actually mix things up (though a bit too late at this point). "Corroded Center Pole" serves more as a dark atmospheric piece than anything else, having more in common with E.S. Posthumus than DJ Tiesto. It also brilliant sets up the closer "Sunken World" -- a spiritual brother to Radiohead's "Treefingers" -- dark, swooping, and epic in a subtle way. 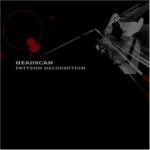 It carries that feeling of being thrown into a sea of black velvet, or that final heart-wrenching moment of that sad war movie - it carefully alludes to the idea that Headscan knows what they're doing very well (the idea of them scoring a movie is tantalizing), but they just need to figure out what to do with themselves first.